Asustek's CEO has confirmed the company's first smartwatch will hit the US in October, loaded with Android Wear and featuring voice recognition. Asus ZenWatch has not been officially unveiled yet, but Asustek's CEO Jerry Shen confirmed a few key aspects concerning this upcoming smartwatch. 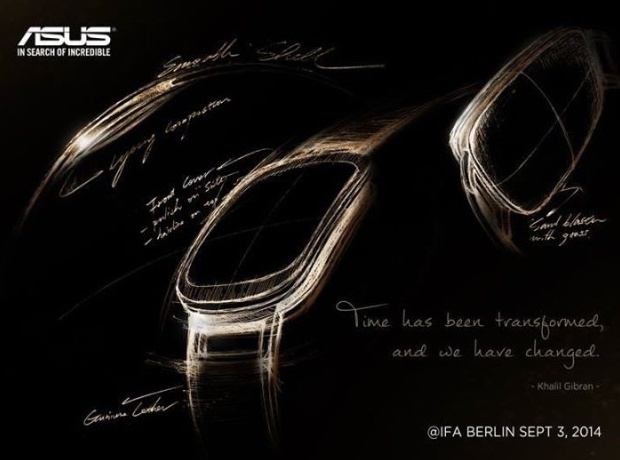 The company also launched a short YouTube teaser that does not reveal much concerning the wearable's design but confirms once again the date it will be uncovered: 3 September, just ahead of the IFA 2014 trade show in Berlin. The ZenWatch will be powered by Google's Android Wear system and will be cheaper than its competitors - Shen revealed it will only be available in one size and it will hit the market for less than $199 USD. This gadget can be used as a standalone watch, but it can also be paired with various Android smartphones, including Asus' own ZenFone lineup. While Shen told reporters this would enable additional features, he did not elaborate. The smartwatch will reach the US market in October featuring English-enabled voice recognition. Support for Chinese language depends on the third-party developer working on it and "is expected to be released by the end of this year." Taipei, Aug. 28 (CNA) Taiwan's Asustek Computer Inc. confirmed Thursday that its upcoming ZenWatch -- a smartwatch powered by Google Inc.'s Android Wear system -- will come with a voice recognition feature and an under-US$199 price band. Asustek CEO Jerry Shen told a media briefing that the ZenWatch, which is due for launch Sept. 3 in Germany ahead of the IFA electronics trade show, will initially pack English-enabled voice recognition when it goes on sale in October. Chinese language support for the watch's voice control is expected to be released by the end of this year, depending on Asustek's third-party developer of the feature, Shen said. The smartwatch will have only one size and will cost less than US$199 when it hits stores in the United States and other selected markets from October, he added. The ZenWatch can be used alone or paired with Android phones, including Asustek's low-cost ZenFone models, to enable more functions, Shen told reporters without elaborating. In early August, Asustek claimed that its smartwatch had been "well-received" by Google, which selected Asustek as one of its hardware partners for the Android Wear initiative in March, as the new watch looks better than competitors' products but comes with a relatively low price tag. Android Wear is a version of Google's popular Android operating system and is designed specifically for wearable devices. The U.S. search giant said it is working with several hardware manufacturers and chipmakers to build new devices based on Android Wear.